Air vent cleaning service is recommended if you are suffering from allergies in your home. Coughing and sneezing during the fall season is common. 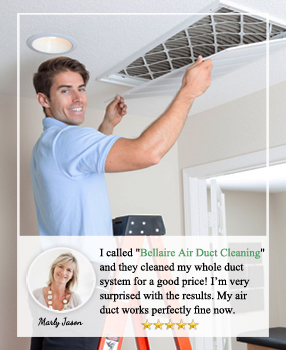 But if you are having this problem all the time, it is best to call Bellaire Air Duct Cleaning, Texas, Harris County. It is highly likely that the inside of your vents is clogged with dust, dirt, debris, pollen and dander. You could also have mold if you have any wet areas in your air conditioning and heating system. When Air vent cleaning service is required you need a company that you can trust to commercially vacuum every inch of your air passage ways. Cleaning air vents is our specialty and will improve the efficiency of your cooling and heating. We have perfected the process as well as acquired the right equipment that uses compressed air. We have professional vacuums, sweeping and brushing tools that our technicians use to remove harmful elements so that you can control or keep away from allergic attacks. We have a lot of experience in vent and duct cleaning. For example, we will clean the ductwork and get it freed from dust and debris. Our tools can reach the full length of your ducts. We will also clean the blower and cooling coil. This work can be costly if you don't hire the right service provider to work on Air vent cleaning. The cost might result from damaging your lines or releasing the dust in your home instead of sucking it out. Our vent duct cleaners are highly skilled in this type of work and have been helping many homeowners improve the quality of air they breathe in their houses. If you need an assessment of contaminants in your system, we will be glad to send one of our technicians at no trip charge. Since we operate in our service vans, we will be able to do the cleaning immediately while on location if you decide to get the job done. We help Bellaire residents breathe easier and live healthier lives in their residences. This is something you can also achieve at minimal cost. 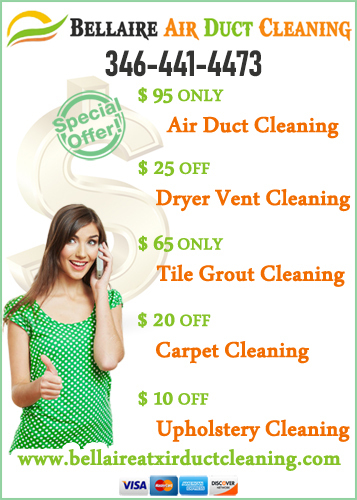 Air vent cleaning is the cheapest service in town.